The photo of a 97-year-old WWII veteran kneeling in solidarity to show support for protesting football players has gone viral on Twitter. Brennan Gilmore posted the photo of his grandfather, John Middlemas, around 7:30 a.m. Sunday before National Football League players knelt during the national anthem. 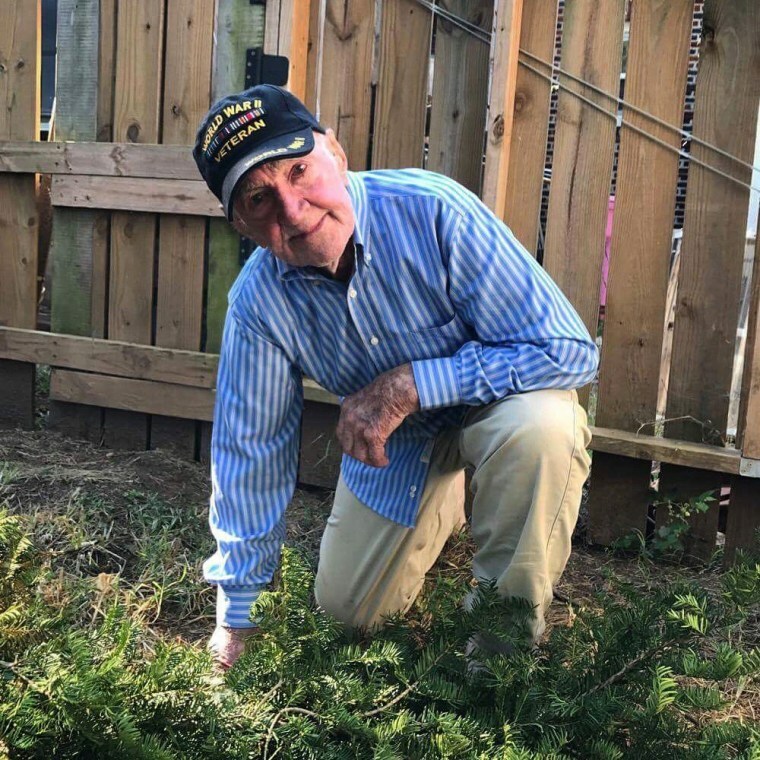 “My grandpa is a 97-year-old WWII vet & Missouri farmer who wanted to join (with) those who #TakeaKnee: ‘those kids have every right to protest,’” Gilmore wrote as a caption on the tweet. As of Monday, the photo had been shared more than 140,000 times and “liked” by more than 377,000 users. Gilmore and his grandfather were discussing the recent comments Trump made against NFL athletes when he decided to share the message, he told NBC news. Middlemas is a Christian who has always valued social justice, Gilmore said, and taught his family about leaders such as Martin Luther King Jr.
"The photo is a big surprise to some people, but not to the 32 grandchildren he has," Gilmore said. Colin Kaepernick, a former quarterback for San Francisco 49ers, pioneered the movement last year in protest against racial oppression and police brutality.